April 2007, I put on my trainers and started to run. I kept on running. Mostly training in the cool evenings, sometimes late into the night. Colder the better, ideally with a frost on the ground! I’ve competed the Bristol and Bath half marathons, and a 10k each year since, steadily improving my pace on each attempt. This year, on my cousins’ recommendation, saw me take up triathlon with a couple of sprint distances events and a middle distance, otherwise known as the half-ironman. 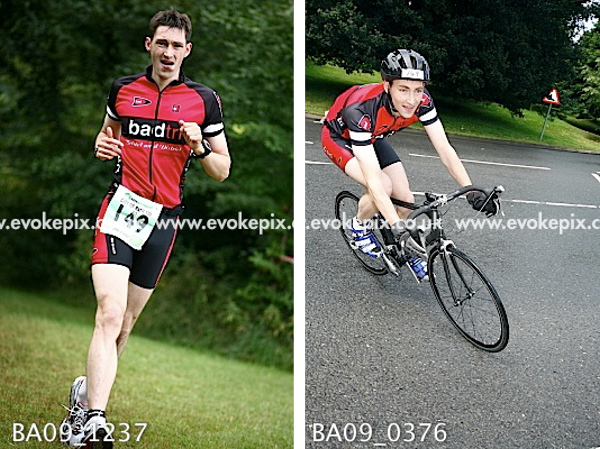 I also entered the Nottingham Survival of the Fittest event in 2009. Very wet and muddy, finished bruised and bleeding. There’ll have to be a very good reason for me to attempt something like this again! 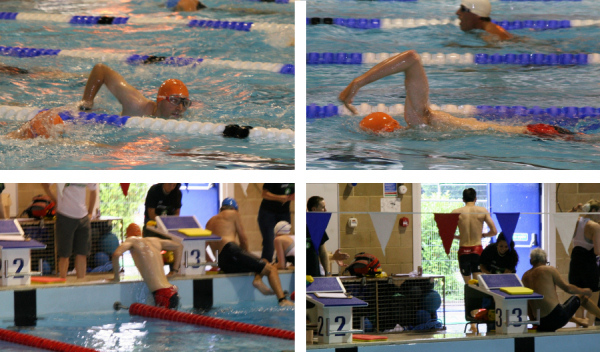 A triathlon event is a race consisting of a swim, a bike and a run, with some very fast transitions between. The transitions are all on the clock. Up to Olympic distance is often in a pool, with the longer distance swimming taking place in open water, lakes or the sea. Wetsuits are usually mandatory for open water races but banned if the water gets to warm. Wetsuits are an awesome invention, far easier to swim in a good wetsuit (not the kind to surf in) than bare-bodied. In 2010 I’m competing two half-ironman events in May and June including the Ironman branded 70.3 race (it’s 70.3 miles in total). Ultrarunning is the general term used to describe running beyond marathon distances. This can be all in one go or multiday races. In March 2010 my flatmate Sophie and I will attempt the 78.6 mile Jurassic Coast Challenge. 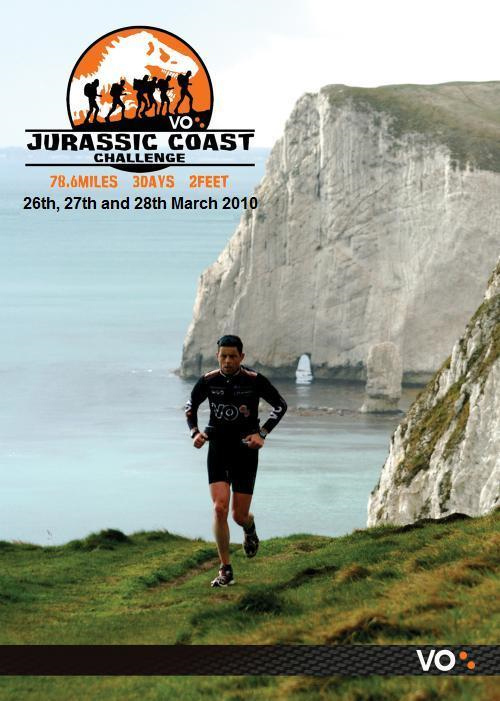 Votwo’s signature endurance running event the Jurassic Coast Challenge returns to the Dorset coast path for 2010. A 26.2 mile marathon each day for 3 days running, jogging, walking or crawling from Lyme Regis to Poole along beautiful but brutal coastal terrain. A true test of fitness and determination for those who find modern life just a little bit too comfortable. Heed the warning: The cowardly won’t start and the weak won’t finish. The really important bit though, is that Sophie and I are raising some money for two local charities, based at the hospital where Sophie works. We chose the Precious Drops Campaign and the Dreams and Wishes Fund. The Precious Drops Campaign is providing funding for the Bristol Milk Bank. This will be based at Southmead’s Maternity Unit and will supply donor breast milk to babies in the Neonatal Intensive Care Units at Southmead and St Michael’s in Bristol (run by United Bristol Healthcare Trust). There’s a video on the Precious Drops webpage which explains in more details. The Dreams and Wishes Fund exists to provide funding for terminally ill adult patients at North Bristol NHS Trust and is specifically used to fund patients ‘dreams and wishes’.